It’s about time we brag a little more about our home country! And to do so, we asked a group of fellow travel bloggers to share their favorite Portugal highlights. We have 15 diverse and interesting things to see and do in Portugal that hopefully will inspire you to visit. Having traveled around the world, we learned to appreciate even more our country and truly believe it has a lot to offer when it comes to tourism. With a rich history and cultural background, mostly-unexplored nature places, and amazing food, Portugal is one of the hottest European destinations. Let’s now see 15 hand-picked Portugal highlights. 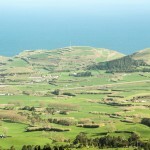 When someone asks me what is my favorite place in the world, I’m quick to say the Azores. But when someone asks me which of the nine islands I like the best, it’s like asking who is your favorite child. As an islander who was born and raised there, I can tell you, and as all other Azoreans will too, unabashedly, all islands are unique and all are worthy of your undivided attention. It’s the perfect combination of cultural diversity, outstanding cuisine, and virtually untouched landscapes that make these islands one of the most appealing destinations in Europe. What is a levada? Long story short, it is a trail that follows an artificial stream of water through the mountains. The long version would be a few more paragraphs just to explain why there are so many of these in Madeira Island. Considering it follows a stream of water, these trails are usually quite flat. Though, you’ll pass by breathtaking cliffs and gorges, which will make you want to stop countless times to enjoy the views and take photos. 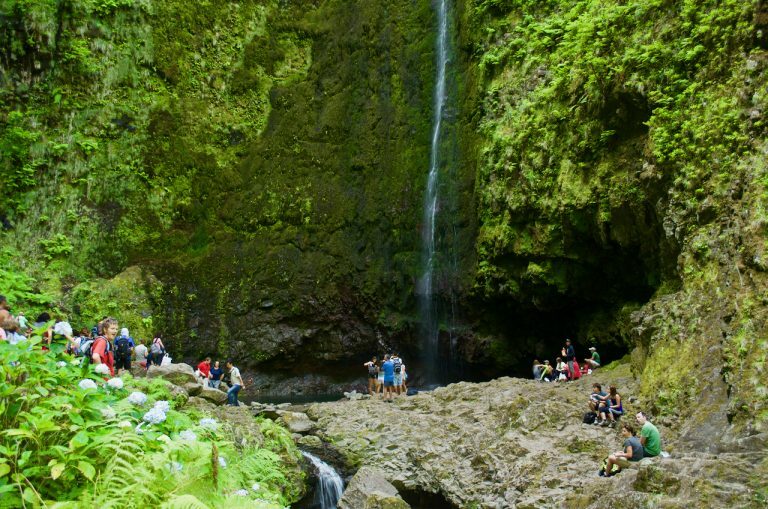 And this levada even ends at the bottom of a waterfall, the Caldeirão Verde. After roughly a 6km walk, passing through a few tunnels, you’ll arrive at that amazing waterfall. I dare you to jump and swim in those freezing waters and relax. It’s a must! 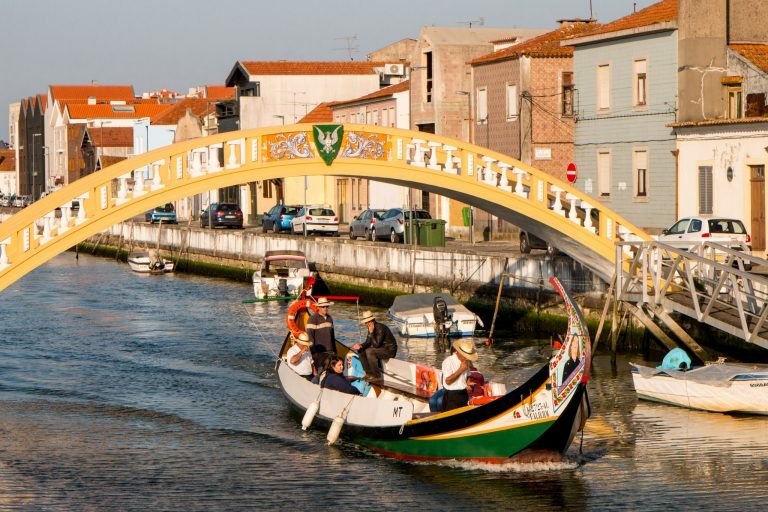 Aveiro is a small town in the central part of Portugal, between Coimbra and Porto, known for its canals, typical boats – moliceiros, salt pans, great food and many other things! Plus, it’s only 10km away from the beaches of Barra and Costa Nova. The latter has beautiful and colorful striped houses that are a feature of the region. 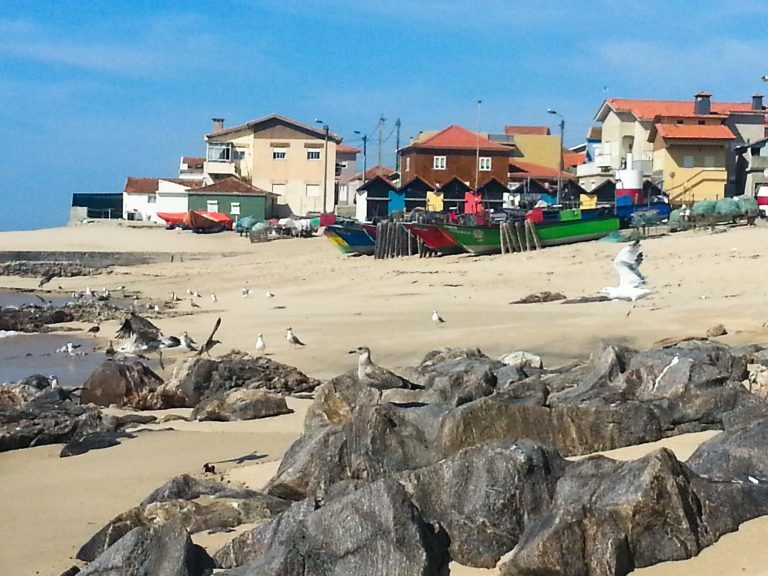 Still mostly off the beaten path, Aveiro has seen a rise in tourism as of recently. A moliceiro trip on the main canal followed by a taste of the local delicacies, namely ovos moles, is the perfect plan for a day visiting the town. Lagos, Portugal is one of the most spectacular cities in all of Portugal. Known for its incredible beaches and mind-blowing sea cliffs, Lagos also offers an active nightlife and incredible food experiences. It’s easy to get lost in the charm of this coastal city that offers so much more than a typical beachside getaway. 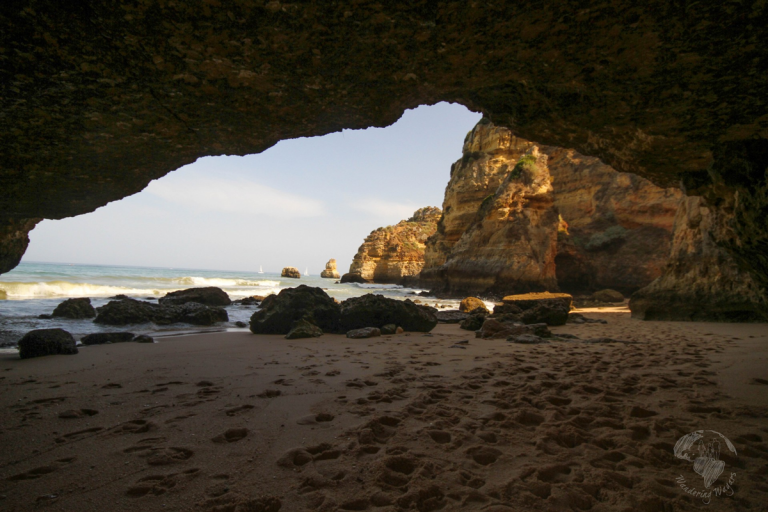 Lagos is the perfect base for those wanting to explore the beautiful western Algarve, much of which is easily reached via road or public transit. While youre there, make sure to drop by Alkibir to try some of their famous green wine. Nestled amongst the hills of the Serra de Sintra, the historical town of Sintra is well worth a visit when touring the Lisbon area. For anyone interested in history, culture or stunning architecture this is a place not to be missed. Why? Sintra not only has breathtaking views across the countryside, it is also home to a Moors Castle, the Castelo dos Mouros, and the Pena Palace along with many other beautiful sights. 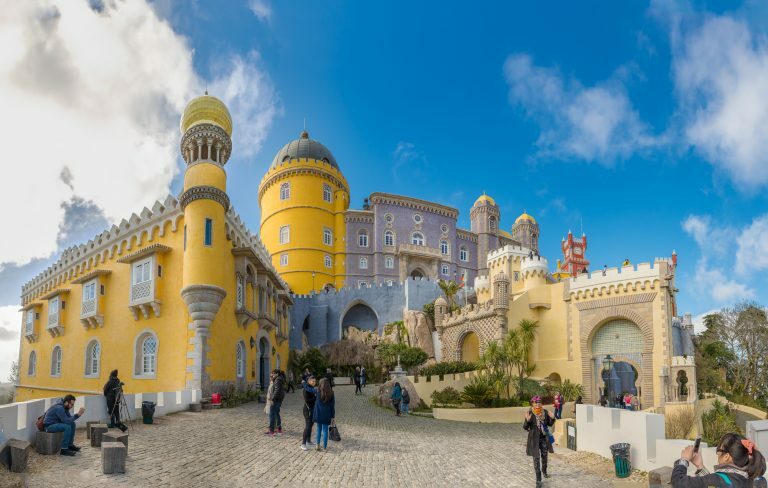 Climb to the top of the Castle for amazing panoramic views over the region before heading over to the Pena Palace to catch a glimpse of one of the most colorful Palaces in the world. Lisbon is the capital of Portugal, known as the city of seven hills. Undoubtedly my favorite place in Portugal. Lisbon is a unique city that delights tourists from all over the world. Lisbon is a city to be visited with plenty of time. In addition to the many historic monuments, one must stroll around its picturesque neighborhoods of Moorish origin, such as Alfama or Mouraria, to see how people live in this area of the city. Other places not to be missed are São Jorge castle, Belém, Bairro Alto, Chiado, Baixa, and Rossio. I adore Portugal! 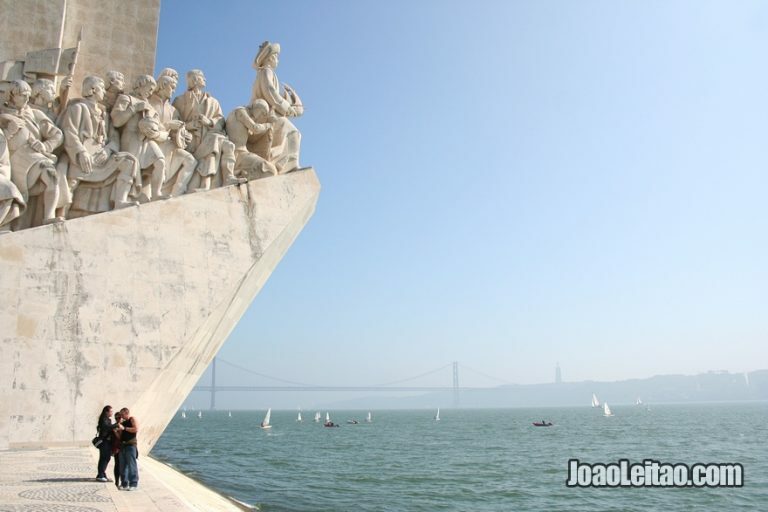 One of my favorites things to do in the capital, Lisbon is to cycle alongside the Tejo River to Belém then eat cake! Well, you have just burned off some calories, it would be rude not to! Portugal is famous for their tarts, the custard variety that is and the most highly rated place to buy them is in Belém. 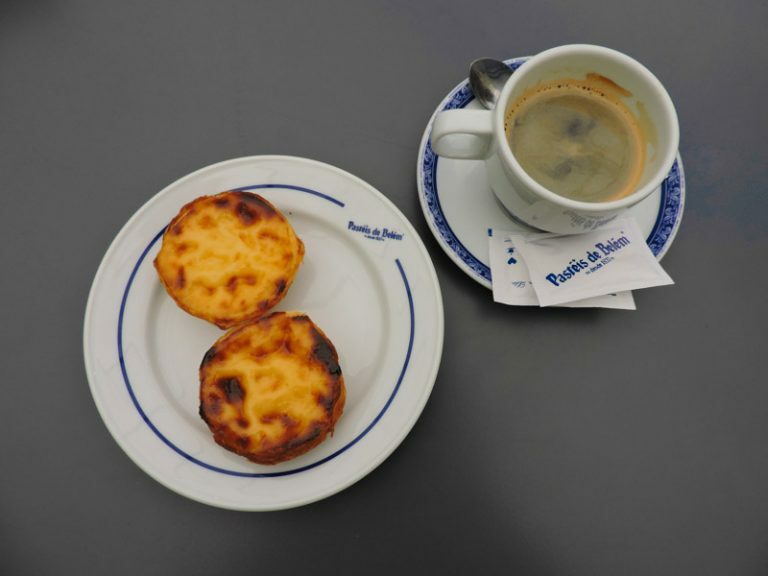 Custard loving customers can sit in Pastéis de Belém, or take – away, or both! The tarts cost just over one euro and are served warm which makes them melt in your mouth, I am salivating as I type. 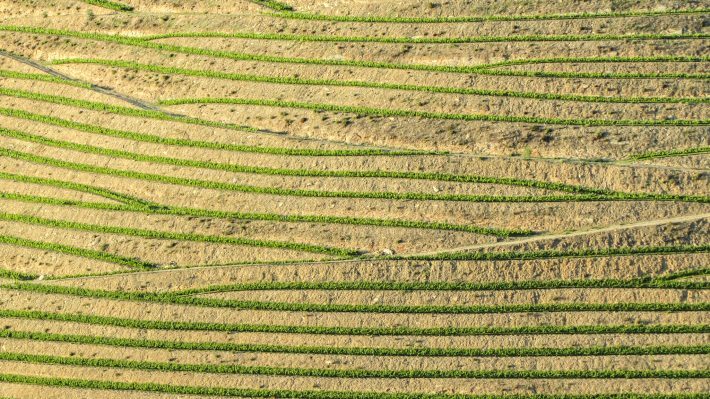 The Douro Valley is home to Portugal’s oldest and most spectacular wine region. It came about because of the demand for port wine but you’ll also find excellent table wines here. 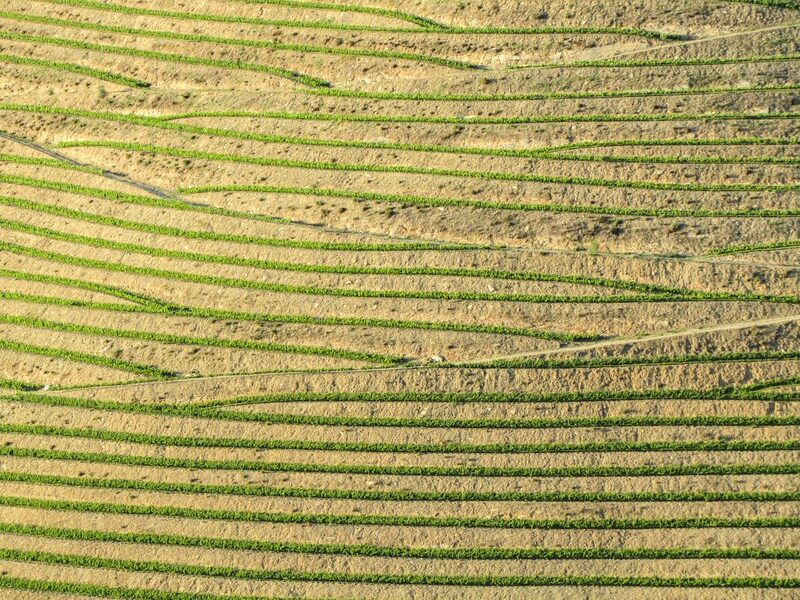 What makes the Douro such a special place to visit, however, are the beautiful and unique man-made terraced slopes and natural undulating curves of the vineyard-covered hills that surround the Douro River. 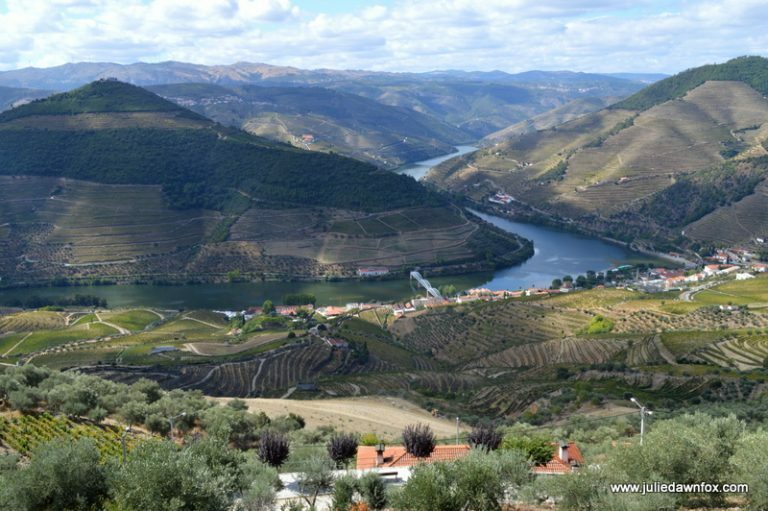 Take a boat trip along the river, hike through the vineyards or go from quinta (wine estate) to quinta sampling wines and touring the wineries or try picking and treading grapes during the harvest season. 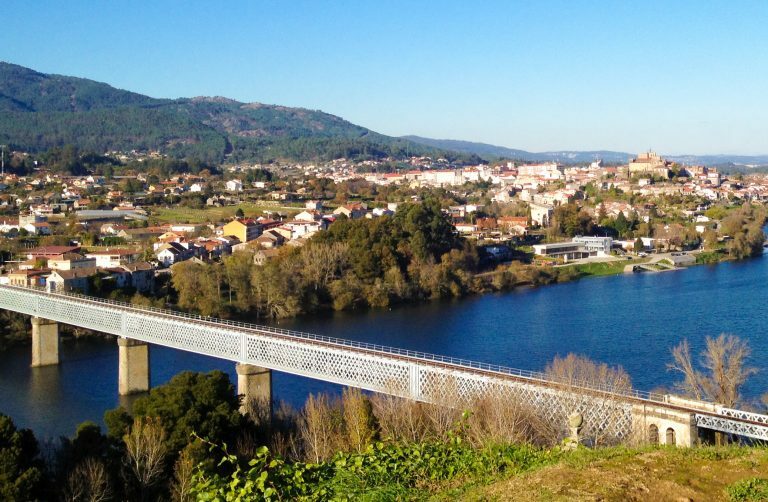 In the north of Portugal, right at the border with Spain, is the town of Valença do Minho. Breathing in the best from both countries, Valença is an ideal destination for travelers who like to stroll around quaint streets, surrounded by lush greenery. 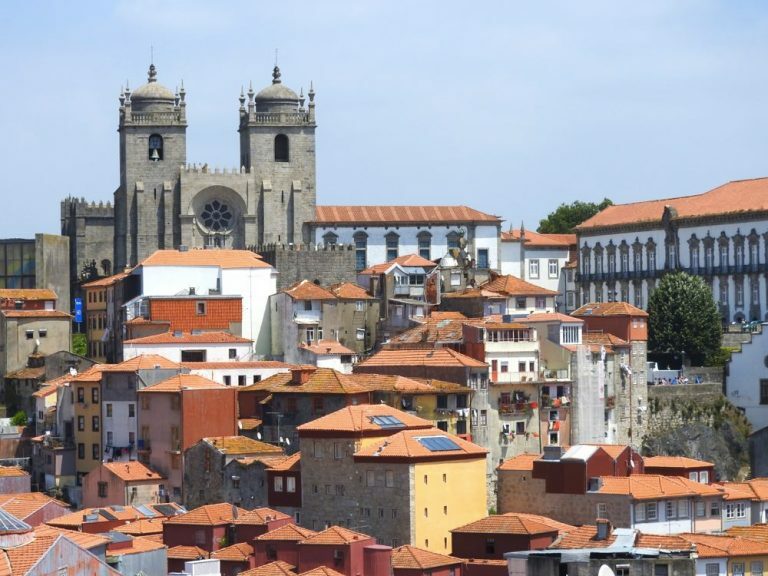 One of Valença’s highlights is the ancient walled town that dates back to the 13th century. In the old town, you can roam around and browse the multiple shops, while also admiring the views towards the other side of the River Minho. From the corner spots where canons were fired back in the day, you can now see the neighboring Spanish city of Tuy in all its glory! Walking over 500 kilometers from Lisbon to Santiago is not for the faint-hearted. The Portuguese Camino is a challenging but incredible adventure. The path meanders through fields, forests, and tiny villages. After Porto, it is possible to hug the coastline, a pleasant relief from some of the earlier road walking. Accommodation ranges from Albergues, simple pensions and campgrounds. Kind, generous, helpful people enrich the experience by sharing a meal with you or even handing over a bottle of their homemade wine. Life slows down when walking the Camino. Be careful if you’re thinking about walking a Camino. It’s addictive! The Monsaraz village is located in Alentejo, a region in the south of Portugal. It´s one of the oldest places of the country and is classified as a National Monument. The region where today the village is located has already been occupied since prehistoric times, and there are some megalithic ruins that can prove that. Monsaraz is on the top of a hill and has white houses, very steep streets and is surrounded by medieval walls. The village itself and the landscape of the Guadiana River valley are magnificent. It’s one of the top attractions of Alentejo. While the entire Portugal is safe, unpretentious and friendly, Porto is all that with a plus. It feels more authentic. With just the right size, it’s where the traditional Portuguese essence is more conveyed: in the people, the culture and in the delicious food. Whether it’s the major postcard of the city, the Ribeira riverside area, the typical dish francesinha, São João (one of the largest street European festivals) or the world-famous Port wine, Porto displays the rare gift of charisma everywhere at all times. For sure it won’t leave you indifferent! North of Serra do Rabaçal, a few kilometers from Condeixa-a-Nova, municipal road 609 takes us to the village of Casmilo. 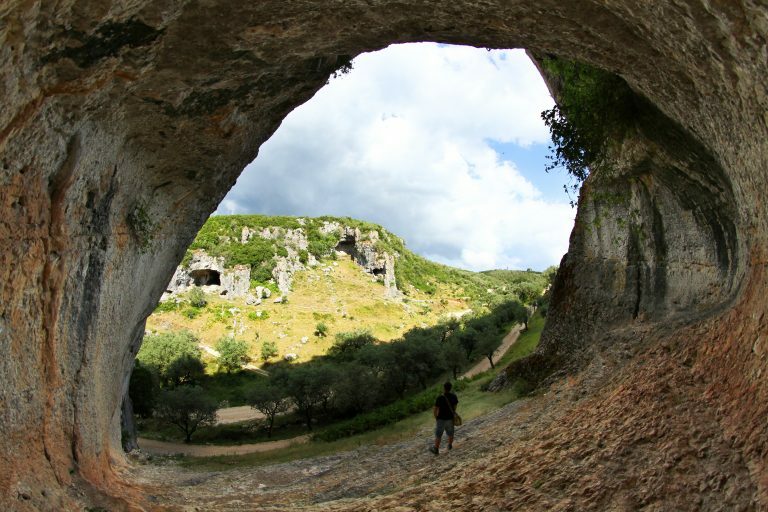 Near Casmilo is Vale das Buracas, ‘Valley of Holes’, a valley with steep, bare slopes, where there are several rock shelters, called ‘Buracas’. The Buracas may have elliptical or circular shape and its dimensions are very variable. Have you heard about the Magic Mountains of Portugal? Until this summer we have never heard about it, nor even did we dream that such paradise could exist in our country. Magic Mountains is the name given to the reunion of the mountains of Montemuro, Arestal, Freita and Arada. This enchanted region belongs to Aveiro and Viseu districts. If you don´t know why it´s called this way, you should go there to feel the magic and charm of this unique place. Are you a fan of outdoors and nature? 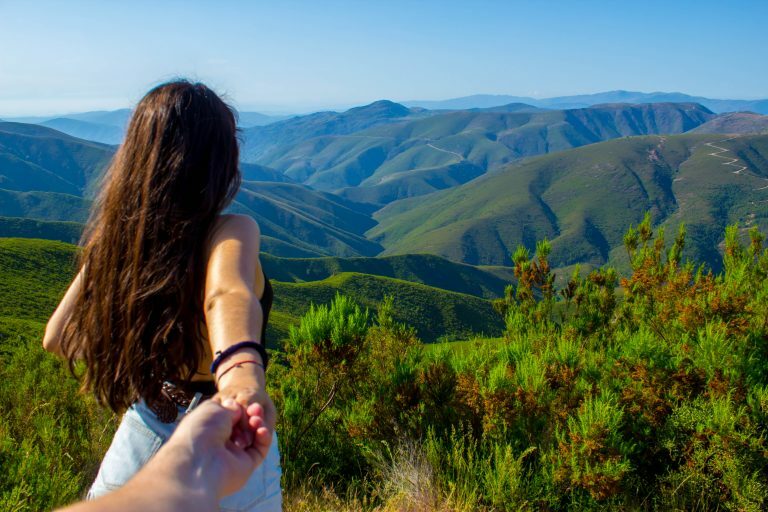 If so, you’ll want to visit Peneda-Gerês, a one of a kind place and Portugal’s only National Park. 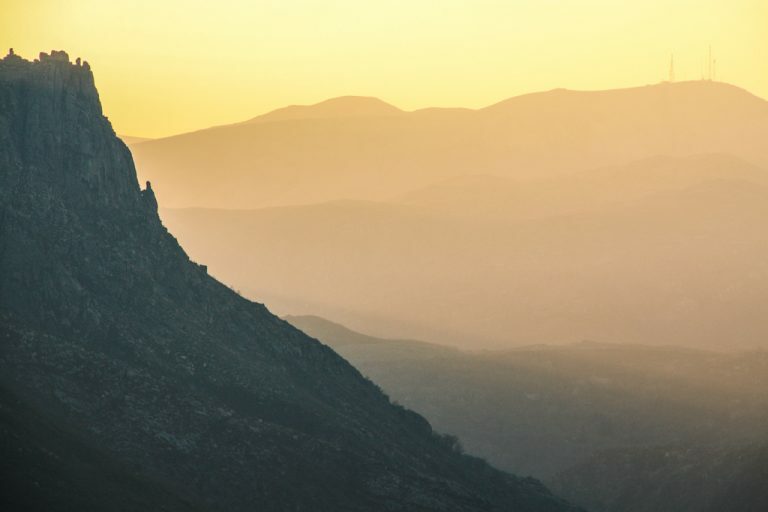 The mountainous landscape of the Park is spread across 4 different mountains: Peneda, Soajo, Amarela, and Gerês, with the highest elevation being around 1500 m. The scenery is quite stunning throughout the Park, including rivers, waterfalls, granite cliffs, forests, and valleys. The best way to explore Peneda-Gerês National Park is by hiking – a personal favorite of mine. There are plenty of trails on the different mountains of the Park, including some short ones for those visiting just for the day. Feeling inspired to visit after going through these Portugal highlights? Rest assured that there are a lot more amazing places to explore in Portugal. Have you been to Portugal? What are your Portugal highlights? Which would you like to visit? Thanks for asking us to contribute. We love Portugal and cannot wait to visit again. It is such a diverse country allowing people to enjoy both nature and cityscapes all at the same time. This is a beautiful way to highlight some of the best destinations in our country. There’s no doubt that, after I have started traveling around the world, I have learnt how to value my own country of origin way more. Not only the places, but also the people, the food.. all those little details that I think make Portugal special, not only for us, but for other travelers too. Hopefully, we’ll keep on seeing the influx of visitors grow, way beyond the most obvious places like Lisbon, Porto or the Algarve! You’re welcome, Zara! Totally agree with you, Portugal is a great destination and we often overlook it. So many reasons to head back to Portugal. You come from a very lovely country! What a great idea to get other people’s input on their favorite places in Portugal. Some of these places I’ve never even heard of before. Definitely want to see the “Valley of Holes” now! I haven’t been to Portugal but now I have a few more reasons to go! We’ve always wanted to go to Portugal and finally had plans to go this year but Ryanair messed up our flights so badly that we didn’t have the chance to visit. 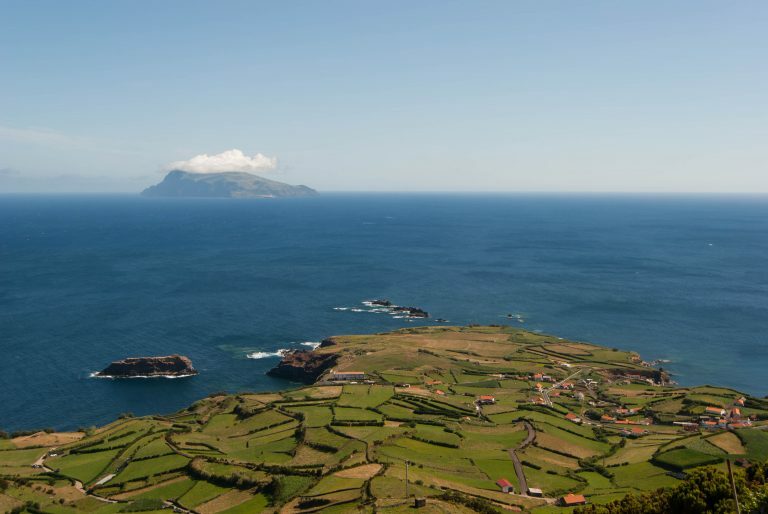 We can’t wait to travel to Lisbon and all these other places, the Azores looks incredible. It’s very close to NYC so we hope to visit very soon. Will keep this post in mind during our planning stage. I really had no idea that Portugal had so much to offer. Some of these places I hear about often, but I’d love to dig a little deeper into the national parks and some of the other wild places. I have only been to Lisbon and it looks like there are so many more places I need to see in Portugal. Sintra is top of my list! I have done 4 out of this list. Looks like I need to plan for the other destinations… not sure when it will happen though. I am heading to Portugal in January so I cannot wait to explore some of these places! I am definitely bookmarking this. I love Portugal! My favorite places there are Lisbon, Porto, and Lagos! They are fantastic! Will check the other places you’ve mentioned next time I’m there! Really great to even see these pictures.Looking forward to atleast visit some of the places you guyz mentioned.You really do have a beautiful country. Cheers! You must visit Portugal. Lovely collection here. I find it a great way to collect pics and the views about a place. Next time I should also participate in this. Portugal was ny first overall trip and I loved it especially Porto and Madeira. Would love to visit again as 2 weeks was much too short for the 2 weeks I was there. A small country with a lot to offer!